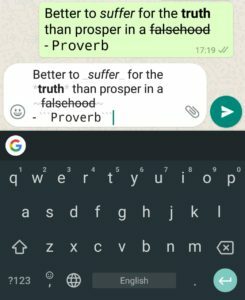 WhatsApp allows you to format selected text inside your messages. You can bold, italic, monospace and strikethrough formatting to your text in WhatsApp. Once you send the message, the symbols will no longer be visible and just show the formatted text.